Harrison Richards may be part-Rawley, but he’s content with a ranch life outside his tight family circle. 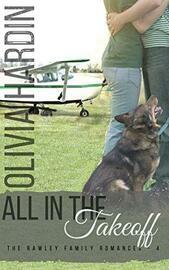 On a flight to pick up a rescue dog after his cousin Kay’s wedding, his small Cessna is grounded due to weather. Harrison’s left to find lodging for himself . . . and a shepherd-mix named Curtiss. Single-mom Kitty Sears has a hectic life running a busy bed-and-breakfast. The short window between winter and summer when local tourism is almost dead is her unofficial vacation, so she’s surprised to get a call about a guest looking for special accommodations. From the moment Harrison lays eyes on Kitty Sears, he has a feeling he’s getting more than he bargained for in a hostess. This story was previously released as a part of the Love Paws Anthology.